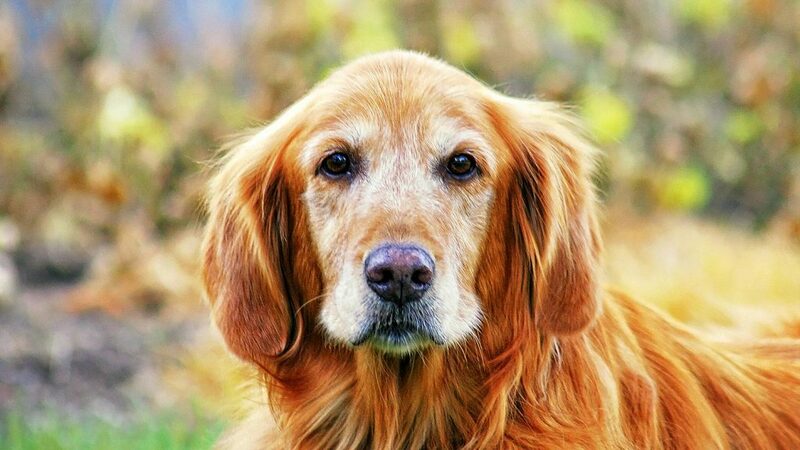 As our dogs age, the health of their bones and joints will degenerate and that can lead to other issues such as inflammation and arthritis pain. This is a common disorder and a bit daunting to manage. Even younger canines, given the right circumstances, can have joint and mobility conditions. Pet owners have resorted to drastic measures to improve the quality of their pet’s life. There are those who opt for traditional medicine, while others prefer to use natural joint supplements for dogs like CBD. Natural joint supplements for dogs are effective, safe and can be used together with traditional medicines as well. Arthritis is a medical term that refers to the abnormal changes in our joint. It can start from damage in our tissue that is caused by a previous infection. It can also be caused by congenital defects that affect the structure of our joint or from trauma or stress on our joint. In some instances, the abnormalities in our immune system can result to the degeneration and inflammation on the joint tissue. Before you determine the proper joint supplements for dogs, be sure to find out the underlying cause of the arthritis first. 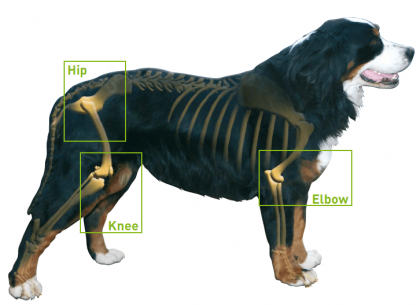 For those who are suffering from hip dysplasia, the arthritis is basically due to the misalignment and the improper conformation of the stress points on our dog’s coxofemoral joint. The wear and tear rate of our dog’s cartilage is a lot faster compared to their ability to regenerate. During this instance, the bony surface will be exposed and can be inflamed. The capsule that envelops the joint will be sensitive, less elastic and thicker. The blood vessels will dilate and that causes inflammation and swelling of the joint and restricts the mobility of the dog. Fortunately, with the help of joint supplements for dogs, we can ease their pain and discomfort. How Can Dogs Develop Arthritis? Not too long ago, we originally thought that the culprit of arthritis is the natural wear and tear; however, according to the research conducted at Stanford University, arthritis can be developed due to the low-grade and chronic inflammation. To help you understand, our dog’s immune system is producing protein that has a damaging effect on our joint. The protein will bind in the join that produce cartilage that will prompt them to produce a higher amount of protein. This will lead to chronic inflammation in our joint that can be addressed with joint supplements for dogs. This inflammation is not only associated with arthritis but to an array of health issues. According to Mayo Clinic, Inflammation plays a key role in causing a lot of chronic diseases. Perhaps some of you are thinking that anti-inflammatory drugs can solve the issue, but according to the latest study, NSAID can have a damaging effect on our dog’s soft tissue and joint. Perhaps the best solution for this problem would be natural joint supplements for dogs like the ones described below. Arthritis affects the joints and can cause terrible pain. This pain is associated with different symptoms that are associated with arthritis. 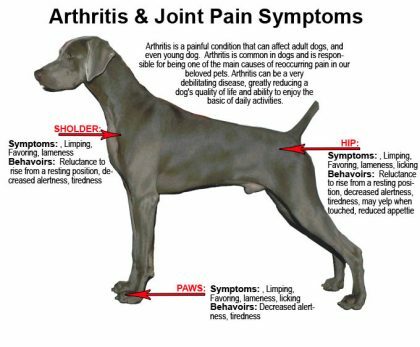 Here are some symptoms of canine arthritis. Limping – You will notice that your dog is utilizing one of his legs more or limping contingent upon which of the legs are affected by the condition. Generally, this limping can be more evident when your dog is rising up. As your dog warms-up by doing his daily activity, the limping will be less noticeable. Difficulty in Moving – You will notice that your dog is now reluctant in doing the activities that he used to love. He may show some hesitations in climbing up and down the stairs. Spinal Problems – The arthritis will not only affect their legs, but it can also occur in their spine. If they have problem with their spine, they may experience pain in their neck. They can also show a poor or abnormal posture. Fatigue – Our furry friends that are suffering from arthritis may show signs of fatigue. The willingness of our dogs to walk will become shorter. They also spend the rest of their day resting or sleeping. People are turning to natural joint supplements for dogs as it may improve the quality of life. Irritability – In case the way you handle the dog aggravates the pain they are experiencing, they may become irritable, snappy or aggressive towards you. Muscular Atrophy – Due to the reduced used in our muscle and inactivity, our pet with arthritis will decrease their muscle mass. Natural joint supplements for dogs will normally constitute glucosamine that can be extracted from the antlers of the deer, shellfish, or it can be prepared chemically in a laboratory. This amino sugar is naturally produced by the body that is essential in producing glycoprotein and glycosaminoglycans. These components are the fundamental elements of a healthy joint, cartilage, ligament, and tendons. It also ensures that our joint has a proper supply of synovial fluid which is a compound that keeps our joint lubricated. Additionally, you should also find joint supplements for dogs that contain chondroitin. This is another natural substance that comes from the cartilage of animals. It is in beef cartilage, sea cucumber, and shark fins. It has the capacity to rebuild and protect our dog’s cartilage by reducing the friction of bones that gives them an elevated amount of comfort. Furthermore, the combination of chondroitin and glucosamine has the ability to slow down the progress of the joint’s damage. 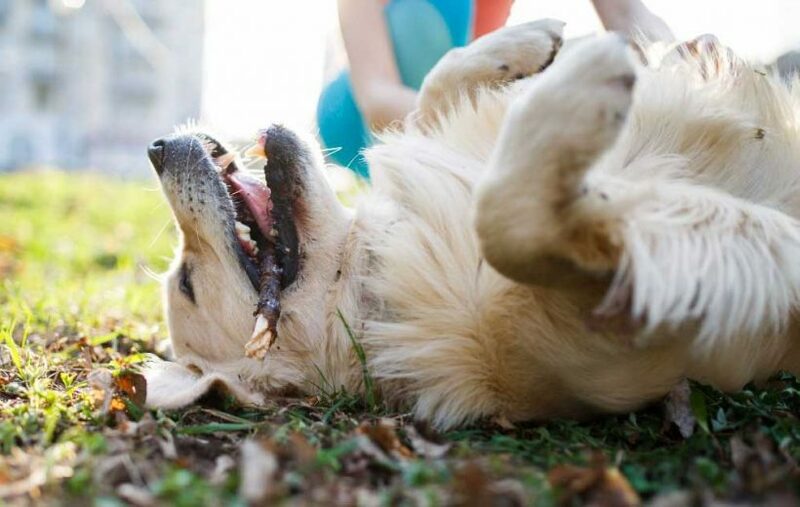 Due to a recent study that proves the damaging effects of NSAID’s, it’s better to find natural treatment in addition to the giving your furry friend natural joint supplements for dogs like CBD. There are various traditional treatments that have the capacity to relieve the pain caused by arthritis. Perhaps the easiest way to manage the pain that they are feeling would be to maintain a desirable weight. If the dog is obese, you need to control their diet and provide them with activities that will help them lose weight. You should also add superfood supplements that have anti-inflammatory effects on your dog’s diet. Remember that a dog’s digestive system is not designed to process some foods we eat. Eating some human food can cause blockages in their intestines. Celery, papaya, and alfalfa are some of the foods that contain anti-inflammatory properties that you may want to include apart from the joint supplements for dogs. CBD has many benefits and is unlike any whole food because its a concentrated superfood. Veterinary hospitals are also providing physical therapy that can help in rehabilitating our dogs. They specialize in dogs with injuries and mobility issues. There are also different natural treatments to incorporate into these programs such as acupuncture and hydrotherapy. Some of them also provide training that allows you to administer treatment when you are at home like massaging certain parts of your furry friend. A combination of theraputic efforts and natural joint supplements for dogs is the ideal combination of to produce results. 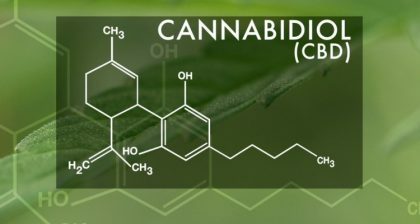 Pet owners and veterinarians all over the world have been using Cannabidoil (CBD) as a natural joint supplement because of it’s strong anti inflammatory properties and pain reducing power. Ask your vet about using CBD for dog or read one of our many articles on using CBD on animals. There are many different joint supplements for dogs. You will want to choose the right supplement with high efficacy rate. Check the ingredients and be sure that all ingredients are natural or organic. CBD offers a powerful solution for your dog’s arthritis. CBD for Irritable Bowel Syndrome in Dogs – Can It Help?